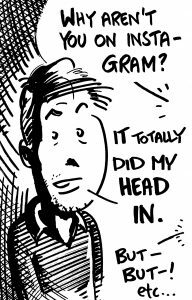 Illustration for ScotsCare’s Annual Review publication. Wraparound cover illustration for the London-based charity ScotsCare. 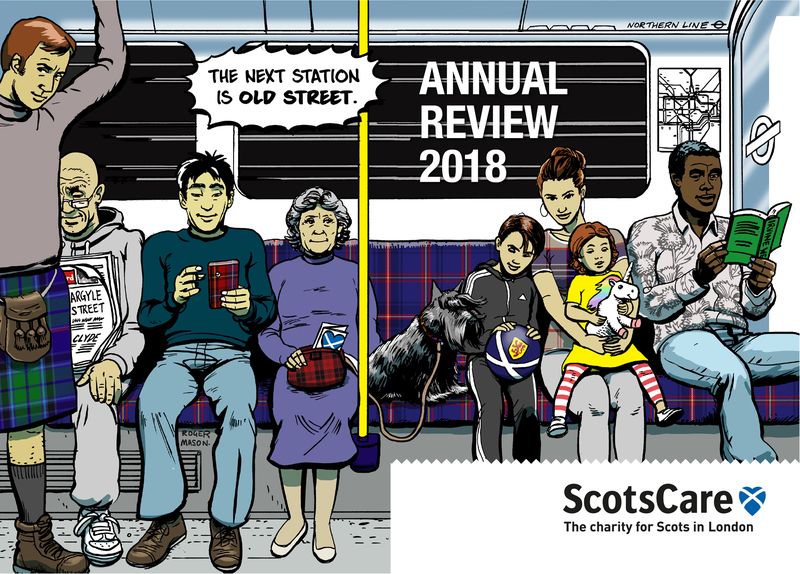 An evolving brief to illustrate the cover of their Annual Review publication led to a representation of a group of Scots using the London Underground. There are various symbols in the image which suggest Scottish identity, and Old Street is the tube stop closest to their headquarters on City Road.